Written on March 14, 2015 . Posted in Announcements + Updates, Fine Arts. Alexandra Anthony (Senior Critic, Film/Animation/Video) and her film “LOST IN THE BEWILDERNESS” have been invited to the Bogota Independent Film Festival in Bogota, Colombia, July 16 – 25, 2015. 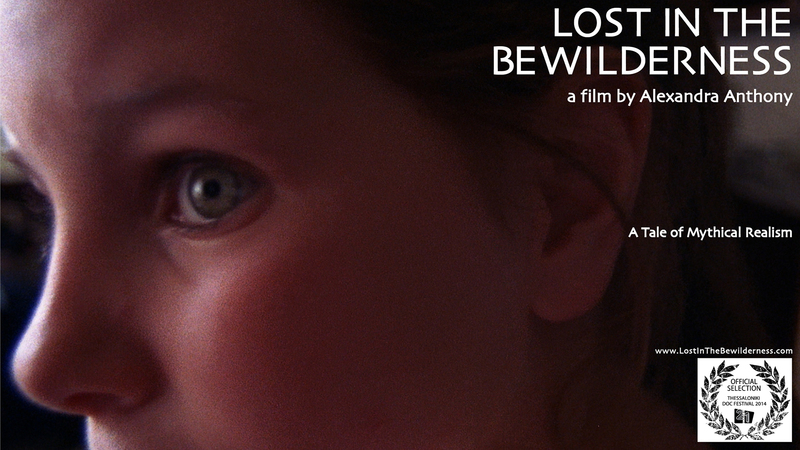 “LOST IN THE BEWILDERNESS” is also an official selection at the Athens International Film Festival, Athens, Ohio, and is screening on April 5, 2015 at the Athena Cinema. “LOST IN THE BEWILDERNESS” is a feature-length documentary about the filmmaker’s cousin Lucas, kidnapped at age five from his native Greece, and found on the eve of his sixteenth birthday in the U.S. This story of international parental abduction, filmed for over twenty-five years, chronicles Lucas’s journey of growth and self-discovery, and culminates with Lucas becoming a father himself. “LOST IN THE BEWILDERNESS” is not only a detective story but also a lyrical meditation on childhood, lost and found, and an exploration of how the themes of ancient Greek myth and tragedy, with the family at their center, are still very much alive in the modern world.